using Drosophila embryos as a model system. Hundreds of proteins work in concert to turn on a gene. to design quantitative experiments that test our ideas. We are an interdisciplinary group in the Systems Biology Department at Harvard Medical School. We have created a collaborative, supportive, creative lab environment in multiple, concrete ways. We publish our work open-access and make all of our data public to speed up science. (And make it more fun). 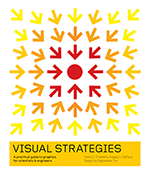 Angela and Felice Frankel wrote a practical guide to making science graphics, specifically for researchers.